Mustafa Kavas is a PhD Candidate in the Strategic Management department at Cass Business School, working under the supervision of Professor Paula Jarzabkowski and Dr Amit Nigam. His main research interests lie in the nexus of spirituality and strategy practices within family firms. More specifically, his PhD research focuses on how religious beliefs inform and shape the strategizing process of profit-seeking organizations selected from the Anatolian part of Turkey where religion penetrates both business and non-business activities. Mustafa recently attended the 11th Organization Studies Summer Workshop on Spirituality, Symbolism and Storytelling in Mykonos, Greece. He also presented one of his working papers at the 32nd EGOS Colloquium in Naples, Italy. In addition, he has won the outstanding reviewer award from the SAP division of AoM in 2015. His paper titled "Islamic Family Business: The Constitutive Role of Religion on Business" was accepted and nominated as one of the best papers at the AoM Conference held in Atlanta in 2017. 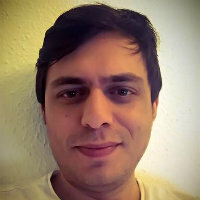 Since the Fall of 2014, Mustafa has been working as a Bibliography Coordinator of SAP-IN Website (http://www.s-as-p.org), and he expects to complete his PhD in the Fall, 2018. English (can read, write, speak, understand spoken and peer review) and Turkish (can read, write, speak, understand spoken and peer review). My main research interests lie in the nexus of spirituality and strategy practices within family firms. More specifically, my Ph.D. research focuses on how religious beliefs inform and shape the strategizing process of profit-seeking organizations selected from the Anatolian part of Turkey where religion penetrates both business and non-business activities. More specifically, my Ph.D. dissertation relies on the three-paper model that allows me to delve into the notion of religion-based spirituality within a business setting in which religion seems to be influencing business activities. To do so, the first paper focuses on the entanglement of religion and business in family business context and thus tries to unfold the mechanism that explains how the selected companies integrate religion into their businesses. Subsequently, the second paper investigates how multiple institutional logics (religion, family and capitalist market) interact with one another in these companies. Focusing on several retrospective and current critical incidents in each firm, the second paper also aims to examine how actors in these firms work within the specific constellations of logics. Finally, drawing on ethnographic data collection methods such as observation and shadowing, the third paper focuses on everyday strategizing practices to explore how Islamic spirituality influences the strategizing processes. Karakas, F., Sarigollu, E. and Kavas, M. (2015). Discourses of Collective Spirituality and Turkish Islamic Ethics: An Inquiry into Transcendence, Connectedness, and Virtuousness in Anatolian Tigers. Journal of Business Ethics, 129(4), pp. 811–822. doi:10.1007/s10551-014-2135-6 . Karakas, F. and Kavas, M. (2009). Service-learning 2.0 for the twenty-first century: Towards a holistic model for global social positive change. International Journal of Organizational Analysis, 17(1), pp. 40–59. doi:10.1108/19348830910948896 .